Verizon announced this afternoon that its variant of the LG G4 will go up for pre-order May 28 before arriving in stores on June 4. Priced at $22.91 per month for 24 months through Verizon Edge, or $549 at full retail, Big Red appears to be offering one of the better deals in the industry for this new LG flagship. Be sure to read our LG G4 review if you are considering this phone. 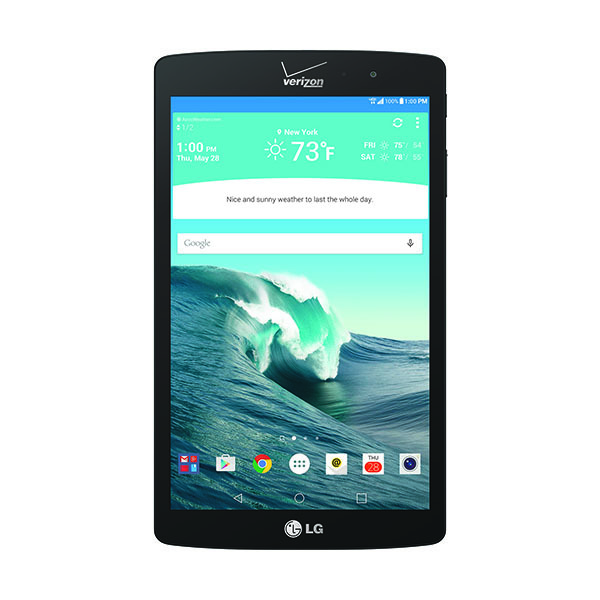 Included in today’s announcement, Verizon also unveiled the new LG G Pad X8.3 as the next tablet to enter its line-up. The G Pad X8.3 will run $12.49 per month for 24 months with Edge, or $299 at full retail. So what is the G Pad X8.3? That price leads us to believe this is a middle-of-the-road tablet. You get a 1.5GHz unnamed octa-core processor, 8.3-inch Full HD IPS display, dual stereo speakers, 8MP/2MP camera setup, 16GB internal storage with microSD support, and a 4,800mAh battery. Oh, it also runs Lollipop out of the box, so you won’t have to hang out with DROID Turbo owners who hate life with Kit Kat. The LG G Pad X8.3 arrives the same day as the G4.